Time to put things together. Xen orchestra has now got a ‘vnc‘ link (like http://localhost/xo/htdocs/vnc.php?url=127.0.0.1:5901&name=w7b) which opens gtk vnc plugin (amd64 binary here). – This link is placed in section Misc of xen orchestra’s virtual machine detail window. The configuration file of xen orchestra, xen-orchestra.conf, has got a section to control gtk vnc plugin. If a windows vm needs mouse grabbing, it can be set in this file. The handling of these settings is done in htdocs/vnc.php. If virtual machine w7b needs even more specific settings an additional file vnc_w7b.php can be used. Compared to the description in this post vnc gtk plugin does now automatically grab the focus (keyboard immediately active after loading of html page; no need to click into vnc viewer window first) and a send keys menu has been added (0103-add_autofocus_and_sendkeys.diff). (Build instructions remain the same except that after (updated) colortoolbar.patch.gz a second patch colortoolbar2.patch.gz has to be applied; updated amd64 debian archive: mozilla-gtk-vnc_0.3.10-6_amd64.deb). There is one little additional patch to xen orchestra (03-add_vm_name_to_vnc_link.diff). 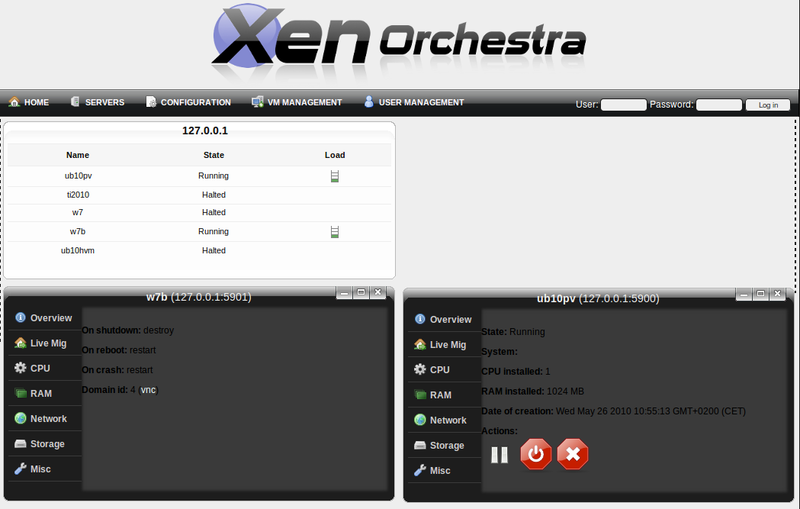 The main changes are in vnc.php (compare previous post about xen orchestra). An updated zip archive with patched xen orchestra is here. Posted by spblinux on May 31, 2010 at 00:16 under Xen. 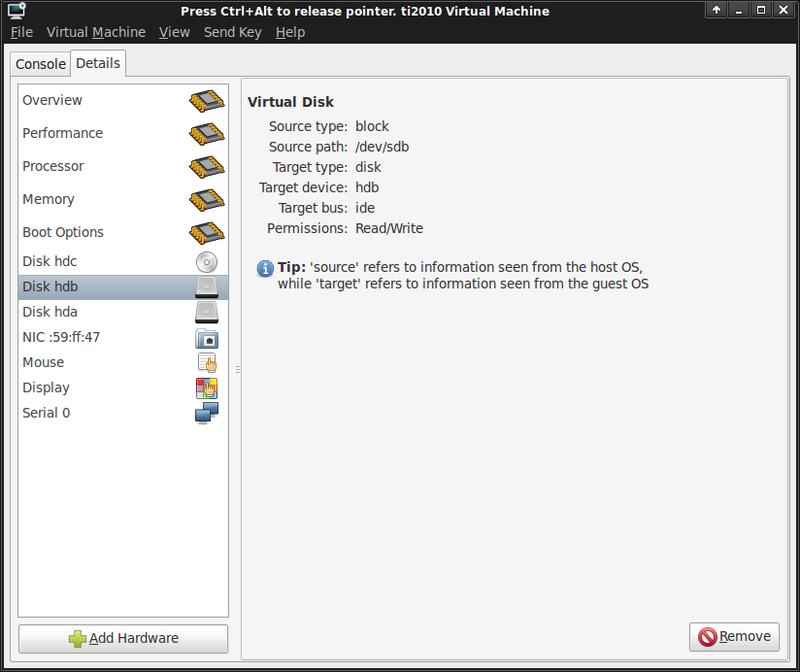 Xen virtual machines transmit their screen contents by vnc. A browser based viewer is the java vnc viewer plugin (see previous post). Advantage of java is that it runs on many platforms. However java tends to use a lot of RAM. On ubuntu 10.04 there is an alternative browser plugin which is gtk based: gtk viewer plugin. The gtk vnc plugin offers only very basic functions: just an authentication dialog and the vnc viewer window. – This post adds a minimalistic toolbar to the plugin (test.html, gtk-vnc-plugin.so, libgtk-vnc-1.0.so.0.0.1). Posted by spblinux on May 26, 2010 at 23:58 under Xen. pro: needs only a web server with php (mysql optional); user interface not overloaded; open source, well structured code. con: only one detail window can be opened at the same time – needs patch; needs on ubuntu 10.04 a workaround for command xm new (see previous post). The patch for multiple detail windows just had to replace some html tag id fields in htdocs/scripts/xo.js (01-xo.js.wId.diff). This patch uses the xen api to query the consoles of the virtual machine and looks up the ip address and the port of the vnc server connected to the console (02-add_vnc_link.diff, to be applied after 01-xo.js.wId.diff). Network and Storage section of detail windows are empty. If the machine running xen orchestra is too busy, xen orchestra displays an empty window; just press the refresh button of the browser to get the main window back. ‘Login again’ button of java vnc viewer window does not reconnect (but refresh button of browser does). Error messages are not displayed if a virtual machine fails to start (open a terminal and use the command xm start yourvm). the vnc viewer window has a fixed hardcoded size (800×600 in htdocs/vnv.php); as workaround add &w=1024&h=798 to the browser address line to display a 1024×768 virtual machine. non captured mouse does not work well in windows, unless graphics tablet mouse driver is installed (see next post about gtk-viewer plugin on linux). Conclusion: I really appreciate the work of Olivier Lambert, the author of xen orchestra! Posted by spblinux on May 26, 2010 at 15:19 under Xen. 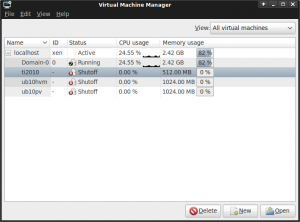 Virtual machines created with xm new are permanently added to xen (virtual machines created with xm create get removed from xen when the virtual machine is shut down). 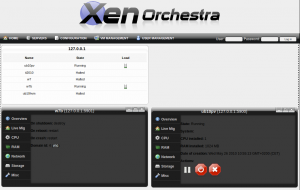 – Some xen monitoring tools, like xen orchestra, rely on permanently added virtual machines. But xm new is broken in debian (and ubuntu) because xm uses an outdated xml python library. And the corresponding debian bug report is closed with status ‘won’t fix’. Debian maintainers support only xen create. Debian sid has the source package of libvirt (currently 0.8.1-1), but package 0.8.1-1 does not work with xen 4.0. However the build service of opensuse factory includes as well libvirt-0.8.1 and they have xen 4.0 patches included. To get a libvirt package for ubuntu 10.04 which is compatible with xen 4.0 the patches of opensuse had to be combined with the debian sid package (patch: debian.diff; local copy of debian sources: libvirt_0.8.1.orig.tar.gz, libvirt_0.8.1-1.debian.tar.gz, libvirt_0.8.1-1.dsc). The resulting virsh command seems to work with xen 4.0 (tested with subcommands dumpxml and define). – You should use Package/Force version in synaptic package manager to protect these manually installed packages. Posted by spblinux on May 26, 2010 at 10:40 under Xen. 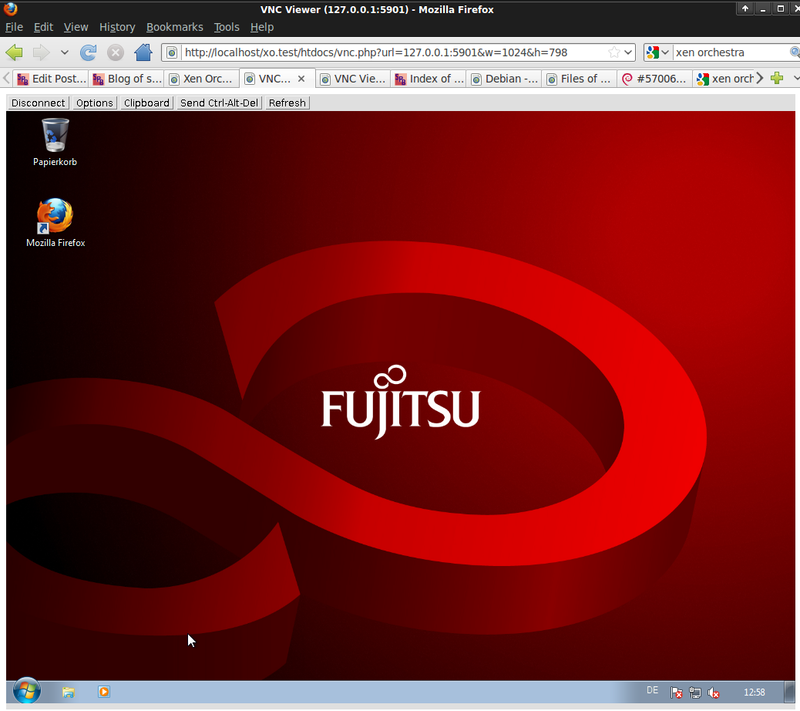 Sometimes the window opened by virt-manager fails to display a running virtual machine (does not connect by vnc to the running vm). 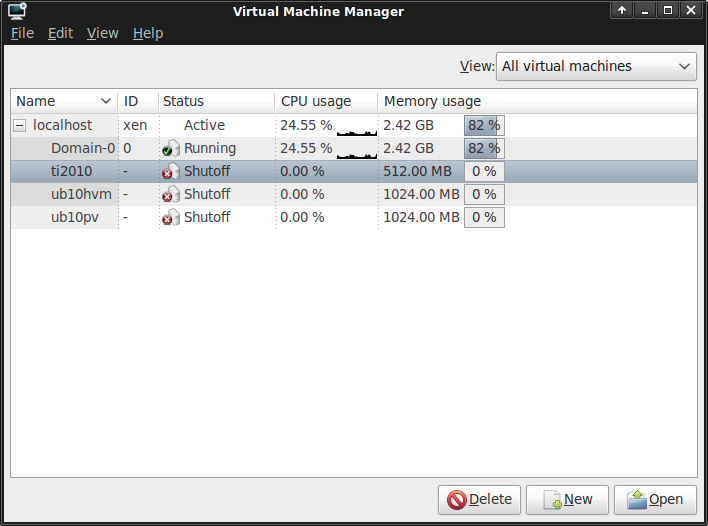 Closing both windows (that of the vm and virt-manager itself) and reopening them usually helps (the vm continues to run). Posted by spblinux on May 16, 2010 at 16:20 under Xen. … but you get a current 2.6.31/32/… Linux kernel. Posted by spblinux on May 16, 2010 at 15:56 under Xen. 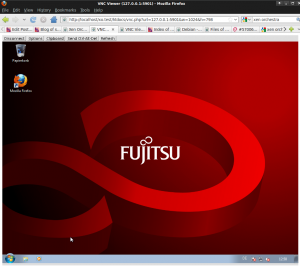 (installation of ubuntu server plus apt-get install xubuntu-desktop). Program virt-manager has to be started as root and switching with su to root shell does not work, the login version su – has to be used (to avoid error: ﻿Failed to contact configuration server). Parameter –force is only neccessary if the block device used as hard disk is already part of another vm. Once the new vm gets displayed in virt-manager all properties of this vm can be edited (click ‘Open’; ‘Add Hardware’, ‘Remove’, …). Posted by spblinux on May 15, 2010 at 15:34 under Xen.